With some of the lowest unemployment rates in the nation and a business friendly regulatory climate, Nebraska is very welcoming to entrepreneurs. 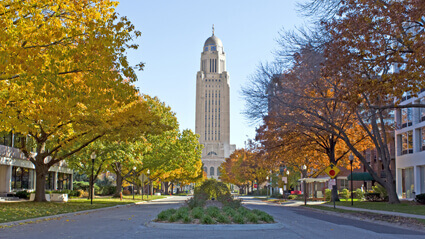 If you like the idea of establishing your small business in a state with a high quality of life, then Nebraska should be on your list—the state came in 6th in that category according to Forbes. Motto: Equality before the law.